A 19-year-old student has died after collapsing at elrow's 16-hour party in Barcelona last weekend. Spanish reports claim Alex Masterson, from North Thoresby, Lincolnshire, had taken ecstasy at elrow's seventh anniversary and was taken to hospital - where he passed away - after falling ill.
Friends of Masterson, who was set to study at Newcastle University this year, told Barcelona website Crónica Global they "knew that Alex had taken pills," according to the Grimsby Telegraph. The friend is also reported to have said: "The club was in the middle of nowhere. The water was expensive, four euros for a 100ml bottle. You had to wait 15 minutes to drink the amount of people that were there. The heat was unbearable. No one spoke English." A statement from elrow reads: "It is with deep sadness that elrow Barcelona organisers confirm the death of a man following an event in Barcelona last Saturday. The man was found outside the club by security staff and was treated immediately at the scene by on-site medical staff and doctors before being transferred to a nearby hospital where he suffered a cardiac arrest. "Medical facilities available on-site exceeded legal requirements, as confirmed by the police report, and organisers are deeply saddened by this tragic event. 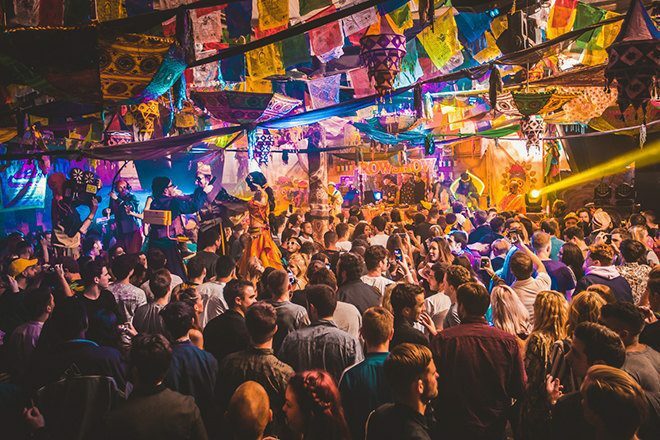 Elrow, which heads to London in August, was named Mixmag's club of the year in 2016.